Happy New Years from the #Xcelsius Gurus! I know we’ve been really quiet the last few months, but it’s not without merit. We have lots planned for the New Year and hope you will continue this journey with us! 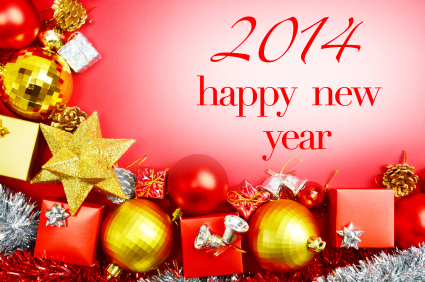 From all the Gurus, we wish you a Happy New Year! So you can easily follow my journey through ASUG, I am going to summarize what I call ‘the how ASUG won me over timeline’, one person at a time. (May 2010) ASUG Dashboarding SIG Volunteer – I was invited to join earlier this year by the SIG’s chair, my former client and colleague, Gabe Orthous, from McKesson. While the progress with this SIG has been fairly slow, considering the group has only met about twice to date so far, I was surprised to find tenured members, such as Paul Grill of Infosol, whose outspoken persona always shines light on the “real issues”. The joint webinar I conducted with Ryan Goodman in August is an example of the SIG’s effort to provide quality content to its few hundred members (most of which are from the SAP side). (July 2010) ASUG Atlanta Chapter – While having lunch with Gabe and another fellow ASUG Dashboard SIG volunteer, Durgesh Das, I then met Rajeev Kapur (a very friendly, but influential BI leader from Newell Rubbermaid). Tasked with managing both the SAP and BusinessObjects suite in his own environment, Rajeev happened to also be the head of the ASUG Atlanta chapter. He is responsible for organizing the local Atlanta ASUG Chapter events that are attended by almost 300 customers and partners. Expressing the need to get more BOE folks to these events, though skeptical, I attended the first on Sept 17th at the COKE Enterprise with my buddy Durgesh (I documented my entire experience via twitter with photos). In a nutshell, there were 4 segments of sessions from 9-5pm and each segment contained a BusinessObjects session that was not only well attended, but quite informative. I learned about RoamBI, Crystal Reports integration with Xcelsius, and the BusinessObjects Roadmap. Did I forget to mention, that as a BOE vendor, there was not a shortage of SAP customers who needed help with their BOE implementations? So honestly, I left there wondering, how can I possibly get more BOE folks to see what I saw? The best was yet to come! 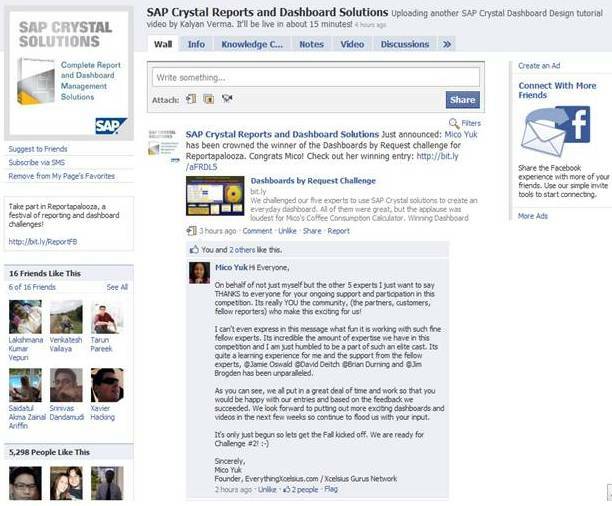 (Sept 2010) Conversation with ASUG CEO Bridgette Chambers – Triggered by some feedback from the webinar I conducted with Ryan Goodman, (which I will not discuss here due to its irrelevance) I was then contacted by ASUG’s very own CEO, Bridgette Chambers. Like many of you, I had read about her new role as the CEO of ASUG last year, but when her secretary called to set up a call with me, I thought, “OK, maybe these guys are serious about getting BOE folks on board!” Without going into full details of the entire conversation, what stood out to me the most was her absolute focus and determination to win over the BOE community. It honestly left me wondering, “With this type of leadership at the top, why does it seem that ASUG has failed to capture the attention of the BOE community?” Simple answer. They did not choose a BIG ENOUGH SHOVEL to penetrate the heap known as the BOE legacy customers. Conclusion - At this point, however, I am convinced that there is tremendous value in ASUG, but just unsure how to relay this to our BOE community. I think most will agree, that ASUG did a poor job of transitioning the GBN members when they took over which left the BusinessObjects folks wandering out there, turned off by member fees, a bad ASUG website, a confusing strategy to bring them board, and no visibility into the true value of joining this ‘seemingly’ SAP vested organization. So my take? If you are a customer the membership is free until the end of the year. Please check it out. I’ve not only gained great friendships and associates, but also new customers and lots of new friends to network with and to exchange knowledge. And because the BOE community is so small, there is a lot of room to really influence what ASUG does. Not to mention, the SAP folks I met have such a deep interest in BusinessObjects. There is no excuse that one will hear about SAP modules all day. I sure did not! I did however, learn a lot about how BusinessObjects work on top of SAP. So I definitely encourage you to join me on this journey folks. See you next week in Orlando! Mico Yuk is a 2010 SAP Mentor and the founder of the Xcelsius Guru Network and the Everything Xcelsius blog. To learn more about her, please visit, our About Us page. We are excited to formally announce the SAP Xcelsius Community Party, hosted by the Xcelsius Gurus, at the SAP BusinessObjects User Conference in Orlando, FL, on October 5th at 7pm in the Oceanic 3, Lobby Level. This invitation-only event promises to be much bigger and better than last year, with a chance to network with Xcelsius users, experts, and other folks from the BusinessObjects community. To RSVP, please send an email with ‘RSVP’ in the subject line, to aundrea.lacy@sap.com by October 1st. This year we also want to encourage you to submit your best stories and examples of Xcelsius, to be judged by your colleagues and peers within the community. All submissions should be sent to emily.mui@sap, no later than October 3rd. For more details about the party and to view the full invite, please click here: SBOUC 2010 Xcelsius Party Invite. We are super excited about this event and hope to see everyone there. As winner of Challenge #1, and on behalf of not just myself but the other 4 experts, I just want to say THANKS to everyone for your ongoing support and participation in this Reportapalooza competition. It’s really YOU the community, (the partners, customers, fellow reporters)… who make this exciting for us! I can’t even express in this message what fun it is working with such fine fellow experts. It’s incredible the amount of expertise we have in this competition and I am just humbled to be a part of such an elite cast. It’s quite a learning experience for me and the support from the fellow experts, Jamie Oswald, David Deitch, Brian Durning and, Jim Brogden has been unparalleled. As you can see, we all put in a great deal of time and work so that you would be happy with our entries and based on the feedback, we succeeded. We look forward to putting out more exciting dashboards and videos in the next few weeks so continue to flood us with your input. It’s only just begun so let’s get the Fall kicked off. We are ready for Challenge #2! Mico Yuk is a 2010 SAP Mentor and the founder of the Xcelsius Gurus Network and the Everything Xcelsius blog. To learn more about her, please visit our About Us page. So we are officially counting down to the Xcelsius Advanced Developer Workshop in Dallas, TX, on March 24-25. There are less than 9 days left and less than 5 seats available. Mico and Mike are prepared and look forward to the workshop and meeting all the attendees. For a detailed version of the agenda please visit http://xcelsiustraining.com. During the workshop, there are contests planned with free prize giveaways. You also get a chance to meet and mingle with Mico and Mike each day, before and after. Spaces are filling up fast, so anyone interested should register today. If you have any questions about the agenda or logistics, please feel free to send me an email directly. For those attending already, don’t forget to walk with your camera’s to share your experience with those not attending. There is less than 9 days left, so hurry and register today! We have some pictures to share with everyone that could not attend the Xcelsius Community Event at SAP BusinessObjects User Conference 2009, thanks to Natasha Lloyd. See all the pics at http://bit.ly/1EQg4q. Don’t forget to check out our new Facebook Fan Page for more on the Event! The flashy aesthetics of Xcelsius has always been a debate sparked by data visualization experts and designers who like the “shiny” graphics provided by Xcelsius and other technologies. I disagree with customers or developers who passionately desire Flashy graphics over what Few emphasizes as well executed dashboard design by maximizing every inch of screen real estate. Xcelsius does not derive its value by looking shiny, and customers today don’t buy into flashy graphics over a solid value proposition both for business and/or IT stakeholders. Xcelsius sells because it provides value as a flexible point and click development tool for constructing BI dashboards. The sleek look of Xcelsius with simplistic interactivity captivates the attention of customers the same way that advertising does in print, web, and television media. After a customer purchases a dashboard technology like Xcelsius, the novelty of flashy widgets fades immediately once execution and implementation becomes priority number one. I think the standard skin that comes bundled with Xcelsius 2008 is much better than the previous Apple OS (Aqua) skin from 2003, which was bubbly and over the top. Like everything, trends can dictate how design is applied during a certain period. In the early 2002 up until recent years, shiny graphics with heavy shadows and bevels dominated the discussion of why Xcelsius graphics produced tremendous interference. Good design does not adhere to technology trends, and data visualization shouldn’t be any different. What Edward Tufte advises in a statistical landscape and Stephan Few advises in a business landscape will not change much over time, regardless of technology. What I consider “interactive data visualization” borrows from these concepts but focuses data visualization as one important element of an interactive application. What most customers desire and adapt from Xcelsius technology is basic data visualization coupled with an interactive user experience for drilling, filtering, and inputting information. Users are comfortable with clean, yet stylized graphics in Vista and Apple operating systems, so there is no reason why interactive controls can’t be stylized with light gradients to provide some depth and create that perceived ease of use. The demands for better data visualization controls has not changed much in recent years, but unfortunately Xcelsius has fallen behind with a lacking library of data visualization components that belong in every dashboard application. Why we still don’t have Microcharts, Sparklines, and Few’s bullet charts out of the box is beyond me. The Xcelsius SDK has opened the door for us to improve Xcelsius to a certain point, and there are excellent new add-on components coming on-line to fill this gap. This short list of components have become the de-facto standard for dashboards, so I look forward to having them at my disposal soon. 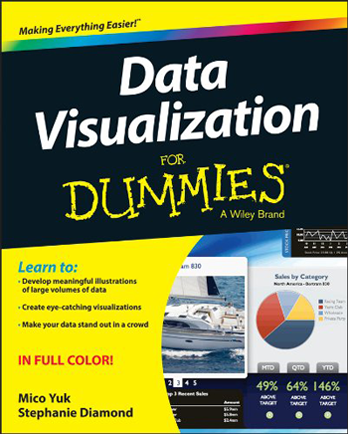 Everyone has a creative side, but someone who has never picked up a design book with an emphasis on data visualization should not implement dashboards for their own company and certainly not as a consultant. Dashboard development is not the forum to unleash creative juices when the intent is to monitor business performance. Working with clients who have educated themselves have definitely facilitated more productive engagements. Reading a book does not make you an expert, but it does allow for more constructive discussions and a smoother delivery of a dashboard. While I can appreciate Stephen Few’s passion for calling out vendors for product gaps, I do not think that marketing materials intended to illustrate technology capabilities should be placed into the critique bin. With that said, vendors need to put their best foot forward to prove that their technology can deliver adequate dashboards execution as well as marketing sizzle. Submit enhancement requests to BOBJ and push them to continue improving and evolving the technology to support good design. Practice design principles and guidelines set by the experts including Stephen Few. Educate your customers or stakeholders who do not understand best practices and guidelines for good design. Xcelsius Guru Network Seeking Developers! If you are an Xcelsius developer and feel that you have what it takes to be a part of our Xcelsius Guru network and work with us on the more challenging projects..please send the following to Soo@EverythingXcelsius.com. Why you think you are good enough to work on our team? Recruiters please be sure to specify you are a 3rd party! Required: Designer and Developer skills, Xcelsius 2008, BOE Xi 3.0, 3.1, 3-5 Yrs Experience, Great attitude, Strong Leader, Strong Communicator, Subscribed to Everything Xcelsius.com and willing to represent the Guru Network! If you feel you have what it takes we want to hear from you! We are officially looking for A+ developers to work with our clients! If you would like to inquire about our current projects or have any questions, please feel free contact Soo (Soo@EverythingXcelsius.com). Is there someone that you think may be interested in this article? Feel free to share (click below). We just wanted to say ‘Merry Christmas’ to all of our readers. 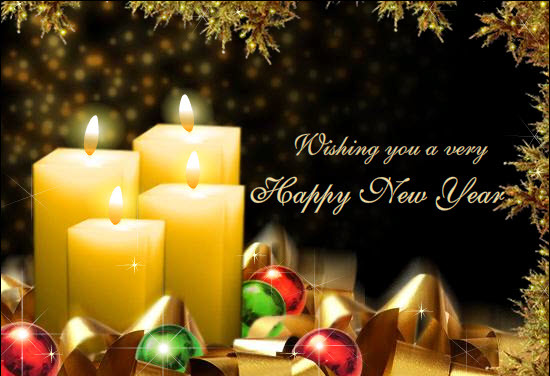 We hope that you all have a blessed Holiday season with your family and we look forward to moving into 2009 with you.